Home Fab Academy Fab Lab Yachay Impresses The President! In the visit Rafael Correa made in early July to the center of innovation and digital fabrication laboratory Yachay, he could observe the projects developed by students of the FabAcademy program developed in the early months of this year. This event, that apparently impressed the president, is where he mentioned the importance of the contribution of the laboratory. No doubt his words drive the momentum of Fab Lab Yachay to keep giving 100% to the country’s development. 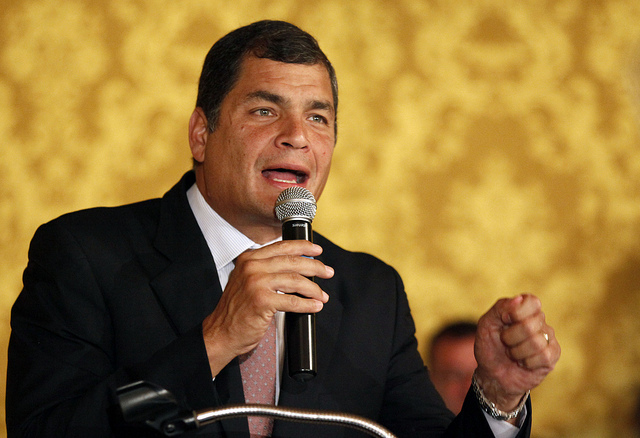 Rafael Correa also describes the vision that his government has knowledge of the city that is inspiring many entrepreneurs and students who use Yachay to turn their ideas into realities which contribute to the future of Ecuador.